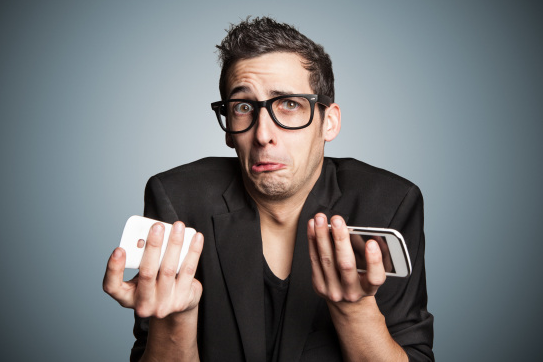 5 Question to Ask your Cell Phone Repair Shop: According to eTechParts.com! Grace states “6 months is the average warranty period offered by wireless repair shops in the US”. That’s true. Here at Mission Repair we offer 1 year warranties on all of our screen repairs, and LIFETIME warranties on all battery installations. In addition to that, we have our “GOT REPAIR” warranty that is automatically included on each screen replacement which ensure that if you ever break your device’s screen again you never pay full-price again. Ask the “other guys” if they do that, and put it in writing like Mission Repair does! Grace is right when she says “Protecting the privacy of your data is an important priority for repair shop owners.” Our company policies call for immediate termination of employees that break this cardinal rule. Additionally here at Mission Repair we don’t require your passcode if you want to ensure privacy protection. Grace is the expert in this field, she advises that not all cell phone repair parts are created equal. That’s eTech Parts’ business. Here at Mission Repair we understand it just as well. That’s why we don’t sell “special colors” of iPhone screens, and I caution anyone to buy a color of part that not stock. Not only do you KNOW it’s a knockoff part, it’s also illegal for repair companies to do so. Apple doesn’t like people messing with their trademarks. The blog reads: “You can learn a lot about a repair shop by how they speak (and what they know) about their competition.” This is a HUGE point; we here at Mission Repair have been in business for 8 years and in most cases, we set the market pricing. It’s somewhat comical to see…I’ll lower some prices, and the competition does the same thing the next day. That’s OK, I understand, but we base our pricing on reality, the market, and on demand. We are here to be fair and offer excellent pricing that appeals to anyone that needs a cell phone repair. Here at Mission Repair we ALWAYS do the right thing for our customers. If we break something we fix it. In fact, we have even fixed “incorrect fixes” performed by other shops…for free. It’s not our policy but there at times that I just feel terrible for the customers that get “taken”. My advice is DON’T work with a “traveling” repair man that meets you at a Starbucks. What would he do if he did accidentally and inadvertently broke something else while performing a repair? Does he have ALL of the necessary parts in his car? Does he have a soldering iron? A heat gun? A sonic cleaner? A toolbox with every tool? I’ll just answer this…it’s NO! We are always here for you here at Mission Repair, and you can call us with any questions that you may have. We have an A+ Rating at the Better Business Bureau, almost 1 million readers on this blog, and have performed hundreds of thousands of repairs in our existence. With several locations to serve you (and not just a bunch of franchises, we are ONE business), we have nothing to hide. Call us toll-free at 866-638-8402! This entry was posted in blog.etechparts.com, blog.missionrepair.com, etechparts.com, ipad repairs, ipad rpeair center, iPhone Repair, kansas city iphone rpeair, lakewood iphone repair and tagged aftermarket iphone parts, etech parts, ipad repair center, iphone repair, iphone repais at mission repair, mission repair, oem ipad parts, phone repair owner. Bookmark the permalink. ← Apple Previewed iOS 9 and I’m excited about it.